Alfreton Town are delighted to confirm that defender Adam Curry has returned to the Impact Arena on loan until the end of the season. 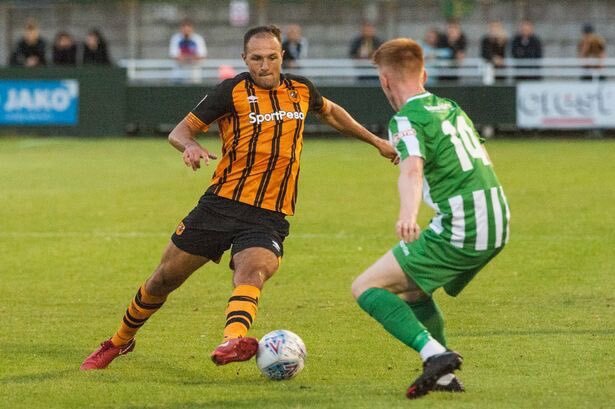 Curry joined Hull City from South Shields in November 2015 and after recovering from a long term injury, has been a regular feature in City’s Under 23s set up. He signed a new one year deal with the Tigers in May 2018. Adam made his professional debut against Sheffield United at Bramall Lane in the Carabao Cup First Round this season and also started against Derby County in the Second Round at the KCOM Stadium. Adam also made bench appearances for league fixtures against Leeds, Blackburn and Stoke. Curry featured seven times for the Reds during his first spell before his loan came to an end on January 1st.